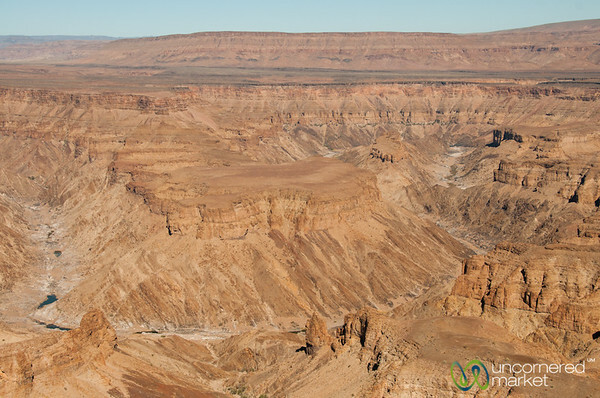 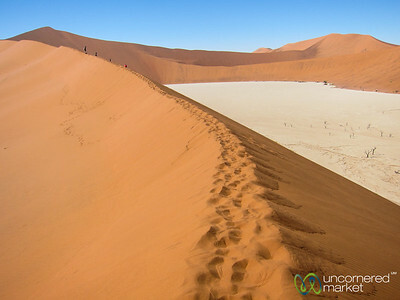 Namibia travel highlights, including Namib Naukluft, Sossusvlei, Spitzkoppe and Fish River Canyon and more. 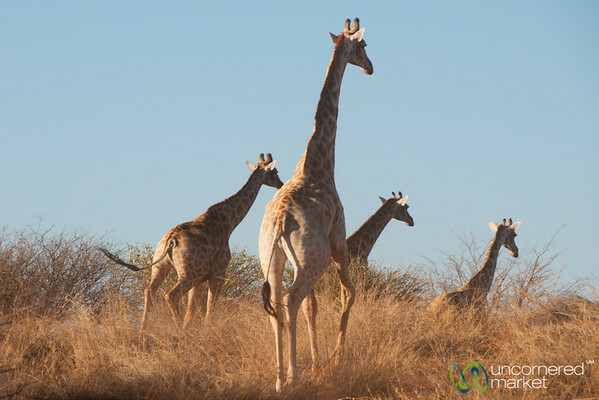 Giraffes on the run during a morning game drive. 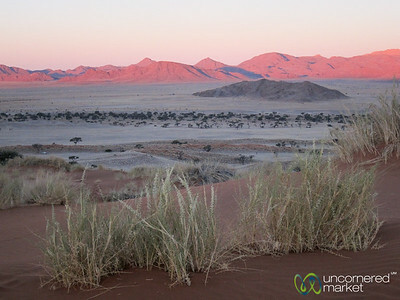 Red rocks at sunset, Namib Desert. 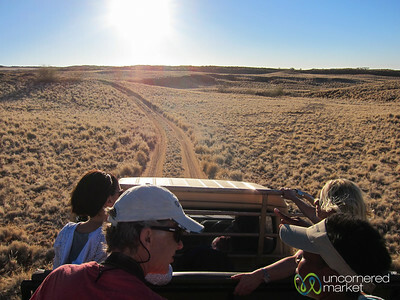 Jeep heading out into the Namib Desert for a sundowner. 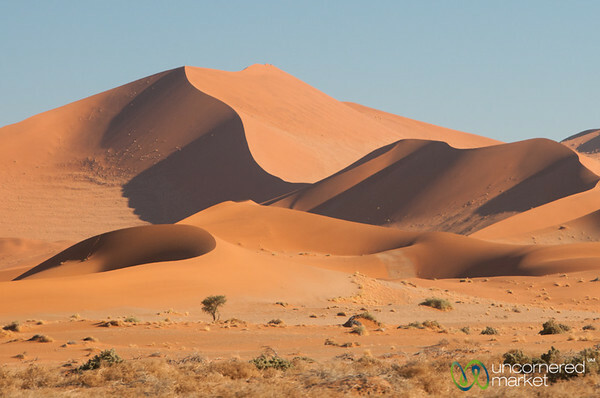 South Namibia. 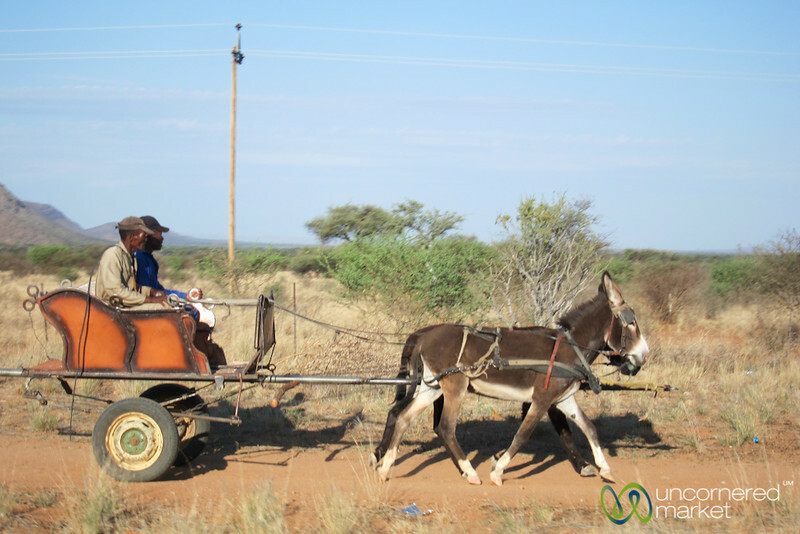 Namibian men with a donkey cart. 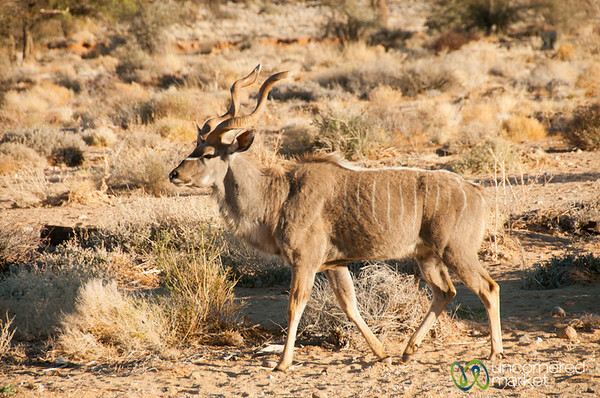 Desert Kudu in Aus, Namibia. 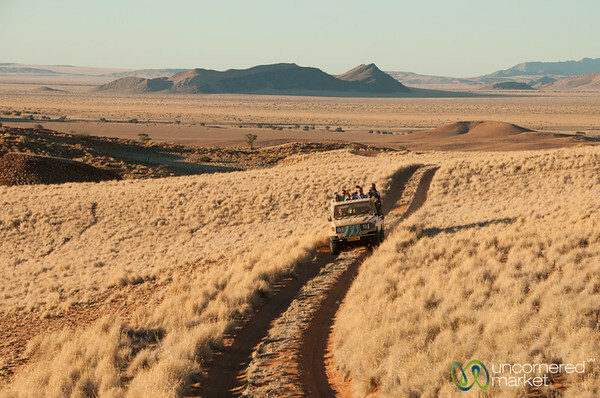 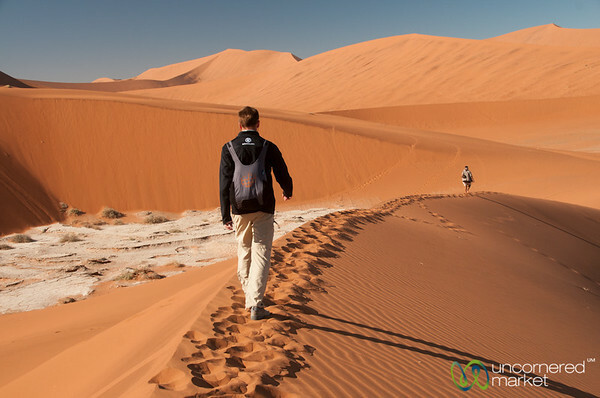 On the way to the sundowner, Namib Desert Lodge, Namibia. 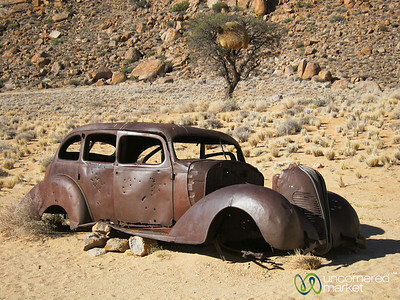 Old car with bullet holes - Aus, Namibia. 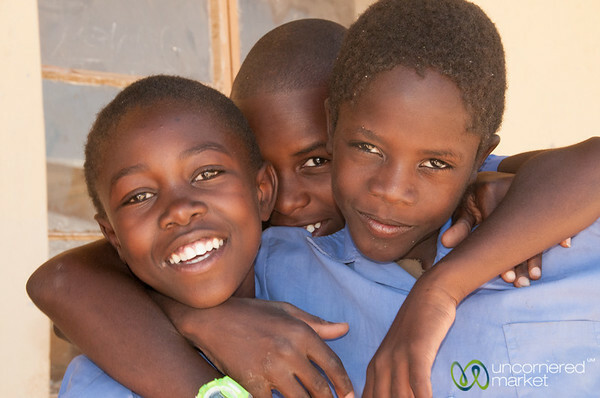 Namibian school boys having fun for the camera for a school near Spitzkoppe, Namibia. 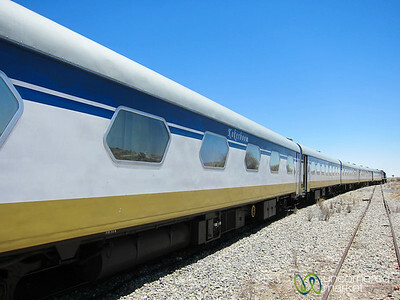 The Desert Express Train that took us from Windhoek to Swakupmond in Namibia. 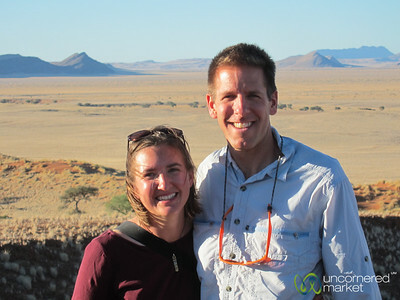 Dan and Audrey at a sundowner near Namib Desert Lodge in South Namibia. 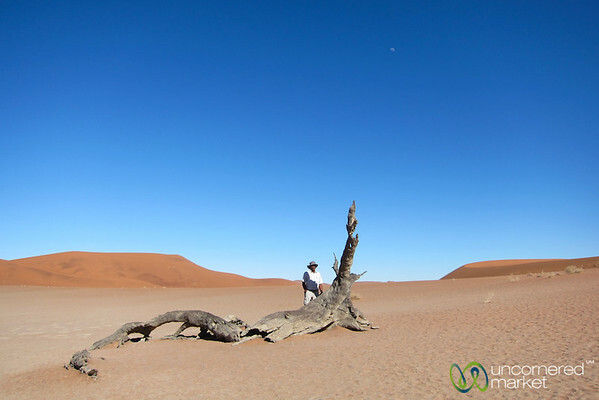 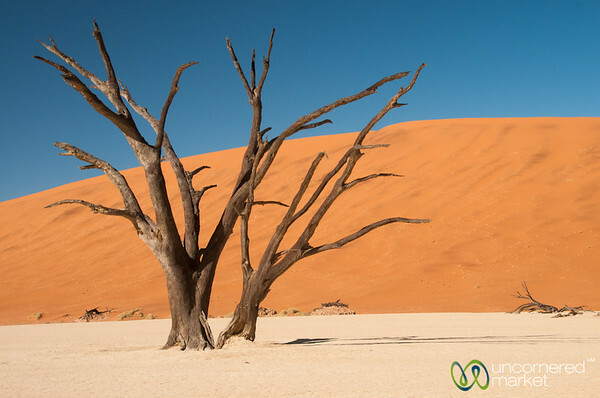 Man and tree at Namib-Naukluft National Park, Namibia. 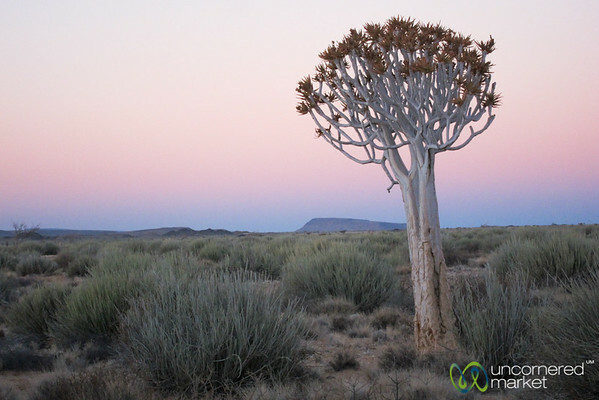 Quiver tree at sunset. 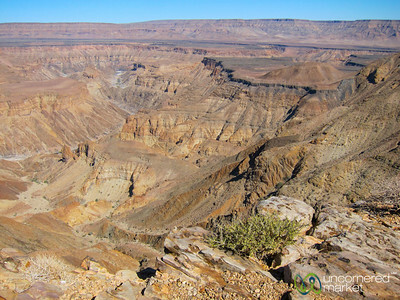 Near Canyon Lodge, Namibia. 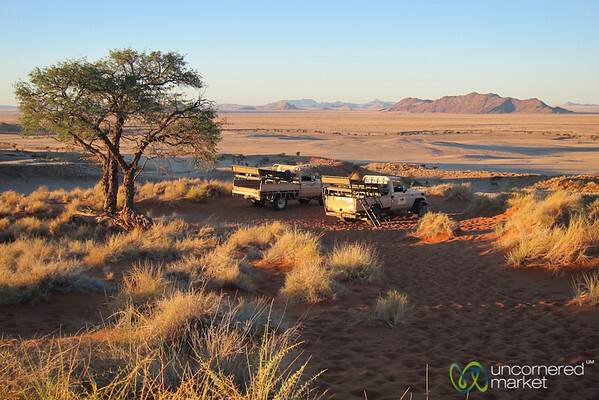 Sundowner in the Namib Desert - Namibia. 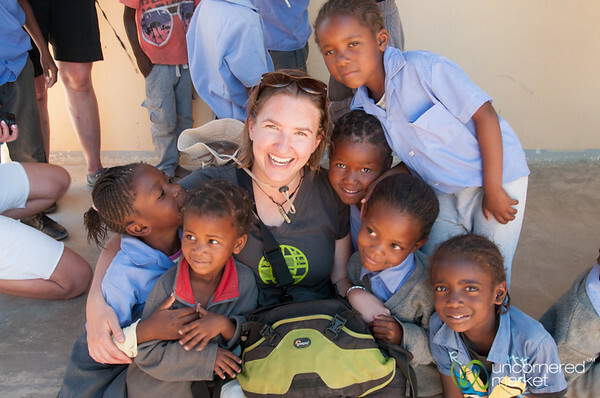 Audrey gets surrounded by a group of Namibian students at a school near Spitzkoppe, Namibia.